The Seirra Wireless Airlink Series has the ability to user the serial port connector as a tenet interface to the console port on network equipment. 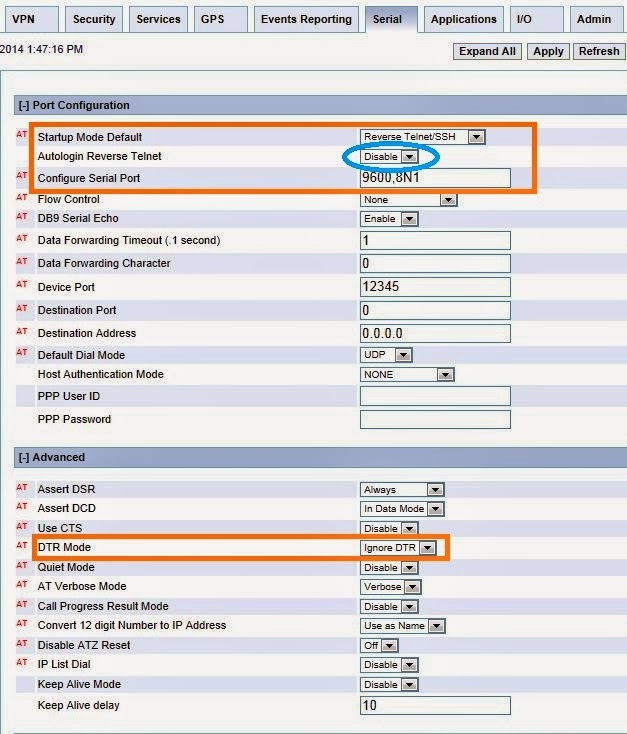 Here is information on how to set that up for a Cisco device console port. Build the appropriate cable connection using an existing cisco console cable or making an adapter. Build an adapter with a DB9m to RJ45 adapter. Configure the GX440 (ES440) serial port settings. Telnet to the AirLink device on port 12345 (default port unless change in settings above). Sierra Wireless forum where I gathered some of this info.